“Giving birth and being born brings us into the essence of creation, where the human spirit is courageous and bold and the body, a miracle of wisdom.” – Harriette Hartigan. Restorative massage treatments tailored to the miracle that is life. Full body pregnancy massage focuses on giving the mother-to-be the attention that she needs at this special time of her life. Pregnancy massage assists the body to relax and help reduce insomnia often experienced in the later stages of pregnancy. Pregnancy massage supports an expectant mother-to-be by assisting in making the mother more comfortable and preparing the muscles for childbirth. Virgin coconut oil is used as it is safe for the growing baby and mother-to-be with many benefits for the mind and body. It is known to improve mental fatigue and reduce stress, whilst improving skin tone which is great for keeping stretch marks at bay helping to keep the skin young and healthy as it is rich is vitamin E, and rich in antioxidants. This Balinese style of pregnancy massage is performed lying the mother-to-be on her side, supported with pillows between her knees and under her bump so the back and leg can be worked deeply, allowing the mother-to-be to drift off while the aches and pains slowly disappear. Tiredness often accompanies pregnancy, it is extremely beneficial for the body and mind to take an hour out to unwind and relieve those new aches and pains that emerge as your body changes through the months of pregnancy. Pregnancy Massage can safely be performed after the 1st trimester. Relaxation, preparing the muscles used during childbirth, reducing swelling in the hands and feet, reducing headaches, cramps, sciatic pain, releasing muscle tension. Add a mini facial to your full body pregnancy massage. Pregnancy can wreak havoc with your hormones and cause skin disturbances and changes. Using 100% fully certified Organic products, this calming facial can help to restore balance to what is a very turbulent time for your body and skin. Add pregnancy reflexology to your full body pregnancy massage. Reflexology can be very beneficial to accompany a full body pregnancy massage, or can be had as a treatment on it's own (45 mins £40), it is a great way to relax if the mother-to-be is finding it difficult to move from one side to the other, with pregnancy reflexology the mother-to-be is made very comfortable from the start of the treatment and not required to move until the 45 minute treatment has finished. 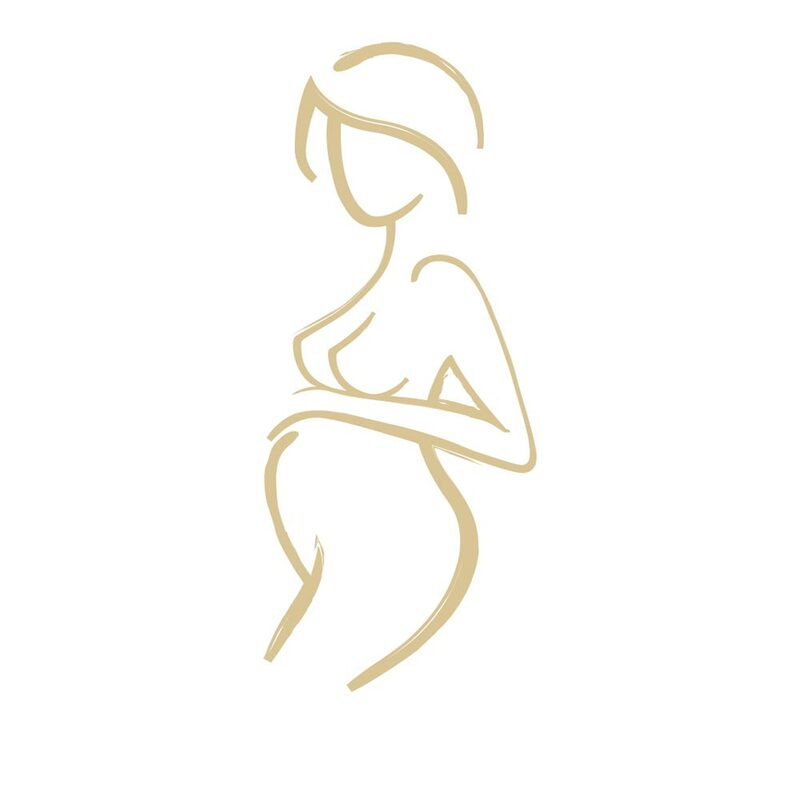 Full body massage with particular focus on the back, neck and shoulders, is a very gentle way to achieve a great number of physical benefits for your body after giving birth, helping to balance your hormones and reduce fluid retention. Massage therapy is a great way to restore your body back to balance after labour. It not only helps restoring your body's physical condition, but also is great for nurturing your emotional wellbeing during such a momentous time of your life. There are many benefits that include; assisting the tightening up of the womb and restoring the uterus, helping to increase blood circulation around the whole body, supporting healthy breast feeding, helping to reduce stress, relieve neck and shoulder pain from breast feeding, reducing headaches providing deep relaxation especially important when experiencing exhaustion from the new demands on your body and of your baby, removing trapped wind in the body and eliminating excess body fluids and aiding weight loss and muscle tone. Add in a mini facial to your full body post natal massage to help pamper your tired eyes during those first few months of motherhood! Focusing on the eye area to reinvigorate tired, dehydrated puffy skin leaving your face feeling rejuvenated, supple and fresh. Add reflexology to your full body post natal massage to really help your hormones settle down post-labour. After your pregnancy comes to an end, during the first six to eight weeks of your baby’s life, the reproductive organs in your body are gradually returning to their non-pregnant condition, which is understandably a time of significant emotional, physical and hormonal change. Support your body while it returns to its natural state with reflexology’s balancing, harmonising and restorative qualities in conjunction with the comfort of post natal massage. By bringing about a deep state of relaxation through reflexology and massage what you will really be giving yourself as a new mum is some well-deserved time out.